Day 2: Friday, June 21, 2019: WELCOME TO ISRAEL! • We arrive at Ben Gurion Airport and are met and assisted by an Ayelet Tours representative. • We transfer to Tel Aviv to begin our adventure. • Our first stop is at Nachalat Binyamin, where we stroll among the artists and entertainers who bring the streets of Tel Aviv to life. • We check into our hotel and have time to refresh. • As the sun begins to set, we join together for Kabbalat Shabbat at the beach, followed by a Shabbat welcome dinner. Day 3: Saturday, June 22, 2019: SHABBAT SHALOM! • This morning, we visit Old Jaffa to stroll through the cobblestone alleyways and admire the crafts in the artist's colony as we take in the views of the sea in this ancient port city. • Later this afternoon, we visit the Diaspora Museum, where we learn about the history of Jewish emigration since the destruction of the Second Temple. • Next, we join our guide for an architectural walking tour of Tel Aviv, with a focus on the city's UNESCO World Heritage Bauhaus architecture. • Enjoy the evening at leisure and dinner on own. Options abound, from strolling along the beachfront promenade or to the Tachana (newly renovated train station) or the Sarona Market. It's a wonderful chance to experience all this metropolitan Mediterranean city has to offer as the city comes back to life again after Shabbat. • This evening, choose to attend a performance of “Not by Bread Alone” at the Nalagaat Center, whose actors are both visually and hearing impaired. • This morning, we visit the cutting-edge Taglit Innovation Center for a glimpse into Israel's high-tech advances in the fields of science, medicine, security and space. We visit the interactive exhibition and continue with a meeting with one of Israel's entrepreneurs. • We continue on an ethnic tasting tour through the famous Levinsky Market, where we will find unique foods, along with stories from Mediterranean Jews who have been in these quaint shops for a century or more. • This afternoon, we travel to Kiryat Malachi, for a chance to visit and learn with leaders from our partner region, including dinner together. • We return to Tel Aviv later this evening. 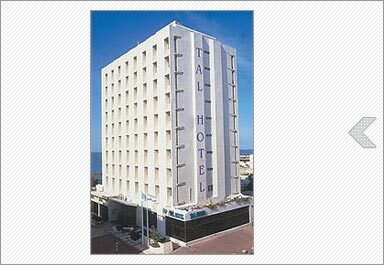 • This morning, we depart Tel Aviv and begin traveling north along the Mediterranean coast. Our first stop is in Caesarea, the former Roman capital of the area, where we see the ancient theater and the aqueduct. • We continue to Daliyat el Carmel to visit Nura's Kitchen for a traditional cooking workshop and Druze lunch with Nura herself. Nura began as a chef at the nearby Carmel Forest Spa and returned to her village to share traditional Druze food with Israelis and visitors. • This afternoon, we enjoy an unforgettable visit with our sister congregation, Kehilat Emet V'Shalom in Nahariya. • We travel to the Galilee to check into our kibbutz and have time to relax and refresh before dinner together. • This morning, we volunteer with Project Leket, gleaning the fields of fruits and vegetables for Israel's needy. • Next, we travel to the mystical city of Safed, where we stroll through the cobblestone streets to admire the crafts in the artist's quarter and view the ancient synagogues. Time for lunch on own here. 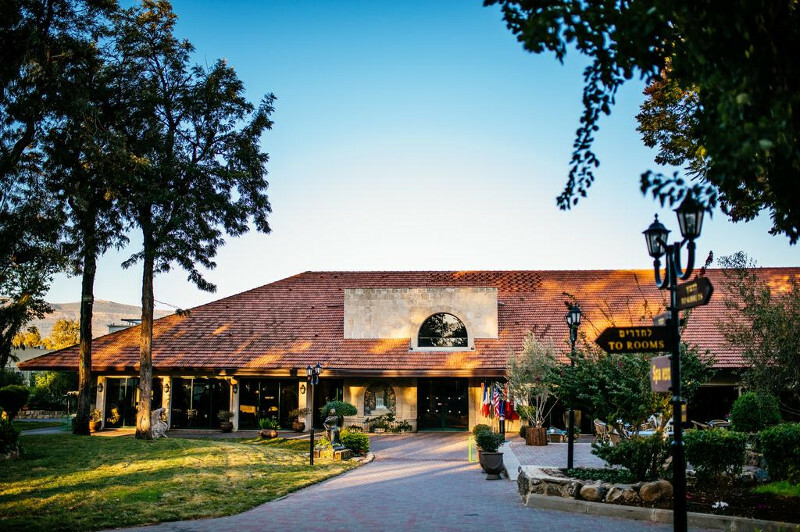 • We continue to the Golan Winery for a tour and select wine tasting. • We drive to the top of Har Bental for a viewpoint into neighboring Syria and a geopolitical discussion about the region. • This evening, we enjoy a cruise on the Kinneret for a chance to relax and take in the beautiful views. • This morning, we meet with Dr. Doron Merkel, head of the Kinneret monitoring and management department at the Israel Water Authority. We discuss the near miraculous transformation of Israel, a desert country reliant on rains and subject to drought, to a leading visionary in water management, desalination, water waste reduction and more, with a regular water surplus. • We continue to Israel's biblical landscape preserve, Neot Kedumim, to plant trees, connecting us physically and spiritually to the land of Israel. • We ascend to Jerusalem, stopping at the Haas Promenade upon arrival to say the “Shehecheyanu” as we take in the panoramic view of the City of Gold. • We check into our hotel and get ready for our evening. • As the sun sets, we enjoy dinner together at a local restaurant. • After dinner, we meet one of the founders of Koolulam, Israel's intensely popular group-singing experimental experience. We'll discuss how their work is bringing Israelis of diverse backgrounds together through song. • Today, we begin at Mt. Herzl, Jerusalem's military cemetery, where we pay our respects at the gravesites of Theodore Herzl, Golda Meir, Yitzhak Rabin and Shimon Peres. We also visit the Herzl Museum to learn about the life and work of the great Zionist visionary. • We continue to Yad Vashem, Israel's memorial to the Holocaust, for an eye-opening experience, as we view the many moving exhibitions, including the Hall of Names and the Avenue of the Righteous Among the Nations. • We complete our day with a tasting tour at the famed Machane Yehuda, where we take in the sights, smells and sounds along the way. You may choose to stay here for dinner on own and see the artistic graffiti painted on the stall shutters as they close. • We enter the Old City for a late-night tour of the Western Wall tunnels, where we discover the archaeological wonders that once remained untouched for centuries. • We depart early this morning and travel south towards to the Dead Sea basin. • We ascend Masada by cable car or snake path to view the remains of King Herod's fortress, including the synagogue walls and bathhouses, as we learn about the Jewish Zealots' last stand against the Roman forces. • We descend the mountain and head to the beach for lunch and an unsinkable swim in the healing, salty waters of the Dead Sea. • Next, we take a short hike to the hidden waterfalls in the desert oasis of Ein Gedi. 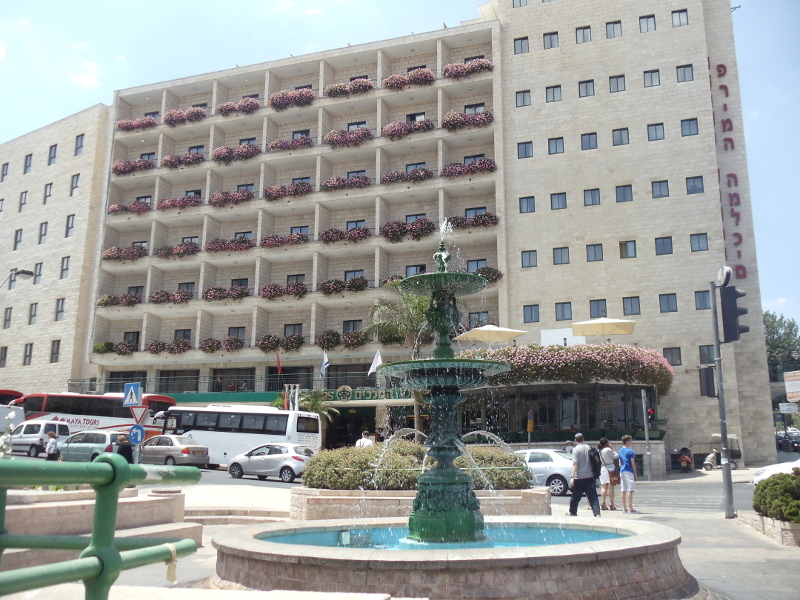 • Later this afternoon, we return to our hotel in Jerusalem to refresh. • As evening falls, we join together with a local Progressive congregation for Shabbat services, followed by home hospitality Shabbat dinner. • Today, we enjoy a walking tour through history in the Old City, exploring the Jewish quarter, Arab market, and the Christian quarter, where we stroll along the Via Dolorosa and end at the Church of the Holy Sepulchre. • We continue to the newly renovated Israel Museum to see the famous Shrine of the Book, where the Dead Sea Scrolls are housed, and view the miniature scale replica of Jerusalem from the time of the Second Temple. • Evening at leisure and dinner on own as Jerusalem comes back to life after Shabbat. • We begin our day at Ir David, the City of David, where we wander through the carefully preserved archaeological excavations dating back to the time of King David, including a walk through Hezekiah's tunnel (wet or dry option). • Next, we visit the Knesset, Israel's parliament building, and meet with Gil Hoffman, chief political correspondent for the Jerusalem Post, for an update on the current state of affairs in Israeli politics. • Enjoy free time to relax or enjoy some last-minute shopping. • This evening, we check out of our hotel and enjoy a festive farewell dinner, recalling all of the wonderful adventures we have had together. • We transfer to the airport for our overnight flight back to the United States, arriving tomorrow morning. • This morning, we depart Jerusalem and travel south to eco-friendly Progressive Kibbutz Lotan to hear about the great ecological innovations coming out of the Arava. • We continue to Eilat and check into our hotel upon arrival. • Spend the remainder of the afternoon relaxing by the pool or on the shore of the Red Sea. • Dinner on own this evening. • This morning, we cross the border into Jordan for our tour of Petra, also known as the Red Rose City and the Eighth Wonder of the World. • While in Petra, we discover the Nabatean City (as seen in Indiana Jones and the Last Crusade) and walk through the Siq as well as the ancient temples and the amazing Treasury and Roman theater. • As we return to the border this afternoon, we view Wadi Rum, a protected desert wilderness with sandstone mountains and natural arches. 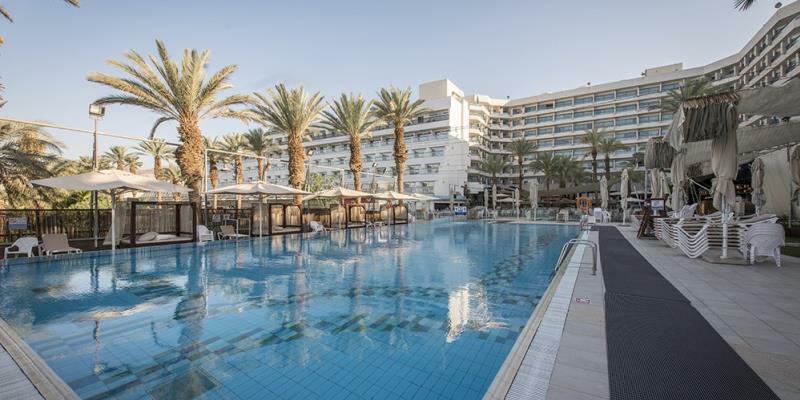 • We return to our hotel in Eilat for a relaxing evening and dinner together. • This morning, we transfer to the airport for our short flight back to Tel Aviv, connecting to our flight back to the United States, landing later today.